I always like to have home made, healthy snacks for my son (something I learned from my mom). 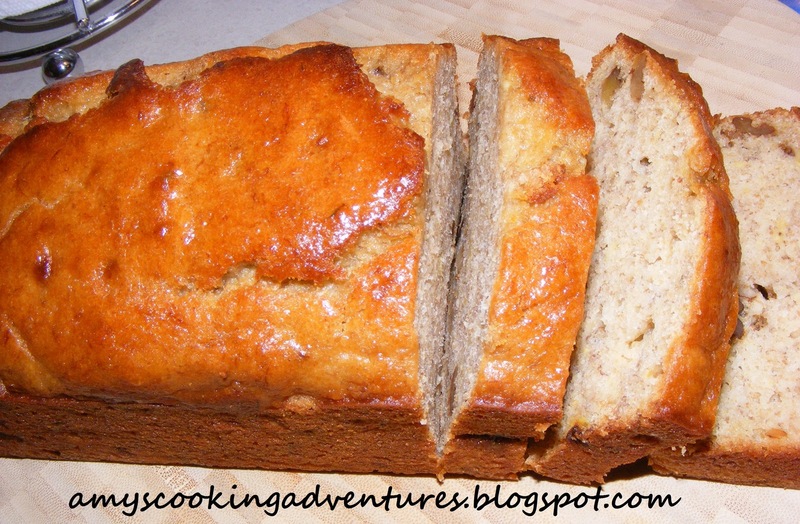 One of my favorite snacks as I was growing up was banana bread. This one is a slightly different version than I grew up with. It has a little less sugar and uses flax, so I thought I’d give it a whirl. 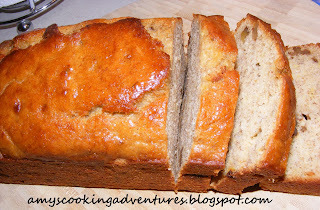 This bread ended up very tasty and I didn’t even notice the reduced sugar. One thing I did notice was that this took a very long time to cook. I suggest splitting this into 2 smaller loaves and cooking for 45 minutes. If you want a nice snack with some bonus fiber—this is the bread for you! Preheat oven to 350 degrees. Grease an 8 ½ x 4 ½ inch loaf pan. In a large bowl mix flours, flax, sugar, baking powder, and salt until thoroughly blended. In a separate bowl, mix bananas, eggs, milk, oil, and vanilla until well blended. Mix wet ingredients in with the dry ingredients until just moistened. Mix in chopped nuts. Pour batter into prepared pan. Bake 55 minutes until dark brown or until a toothpick inserted into the center comes out clean (mine took about 70 minutes). Let the bread cool in the pan for 10 minutes. Then, remove bread from the pan and let cool completely on a wire rack. Way to go having healthy snacks around! I used to love snacking on banana bread when I was growing up. I've never added flax to it, but it sounds like an interesting (and healthy) twist. Does the flax change the flavor and/or texture at all? Flax is very mild and doesn't change the flavor or texture of foods any more than whole wheat flour does (it is typically ground very fine). 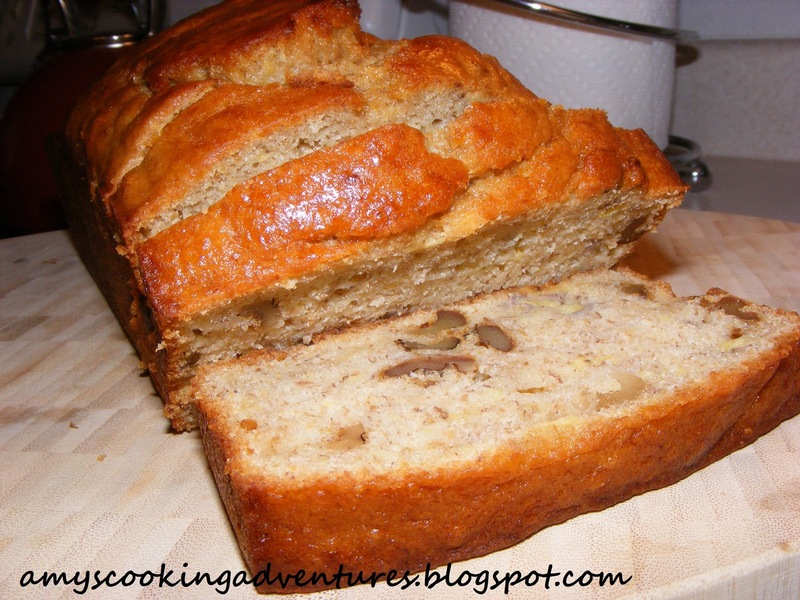 It makes a slightly denser bread, but I haven't heard any complaints from my husband or son! I recently found out that flax can take the place of up to 1/3 of the flour in any recipe! I had to check out what is flax. Now I know it is not very frequent in Spain. I will try to find out where they sell it. SOunds nice.